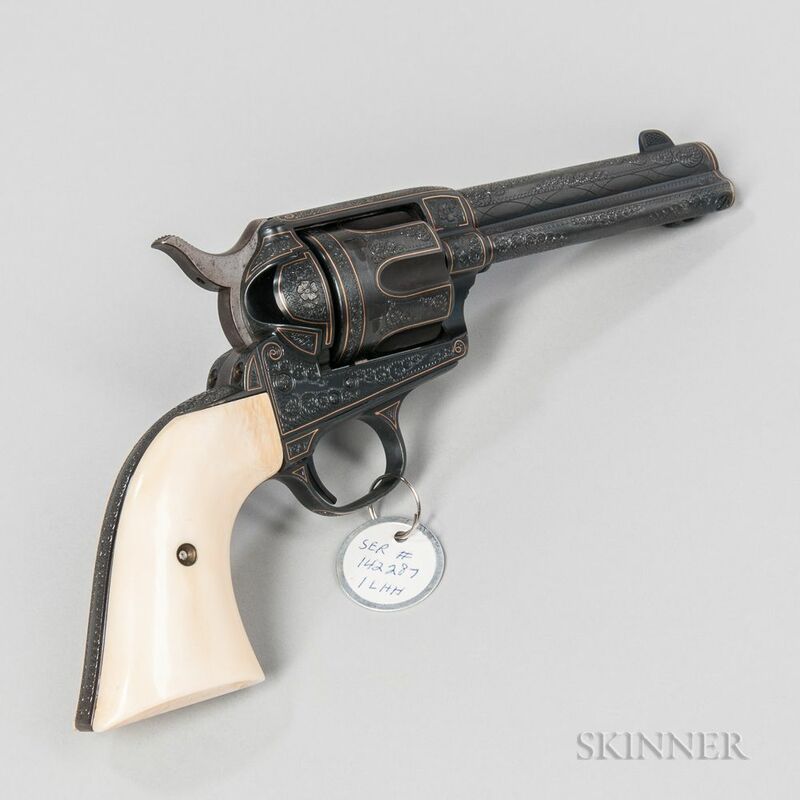 Engraved Colt Single-action Army Revolver, c. 1891, serial number 142287, .45 caliber, ivory grips marked on the underside "Harold & Gale Krause/March-1946/Chicago, Ill," inside of the frame marked "Engr. By D.B. Marshall/Hazelton, Pa. 4/70," engraved with foliate designs and gilt inlays, marked on the left side of the frame "PAT. SEPT. 19. 1871./JULY 2-72. JAN. 19.-75.," the top of the barrel "COLT'S PT. F.A. MFG. Co./HARTFORD, CT. U.S.A.," and the left side of the barrel marked "COLT FRONTIER SIX SHOOTER" in gold, barrel lg. 4 3/4, overall lg. 10 in. Gun is in overall very good condition. The bore has some very light pits but strong rifling and functions properly.